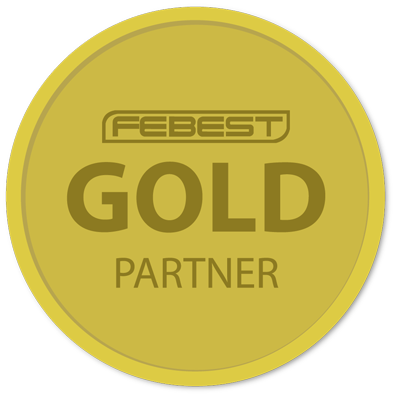 Febest Europe Distribution now offers special prices for small businesses! Febest Europe Distribution now offers special prices for small businesses! If you are interested in our products for your workshop or local retailing you may now qualify to Febest partner program, which provides you special prices with cumulative discount. Buy more, pay less! Automatic group applied on registration. In this group, the partner remains until its quarterly orders in total does not exceed the amount of 1,000 euros (actual payments of orders, excluding VAT). After exceeding the limit partner will be promoted to “Silver” level. 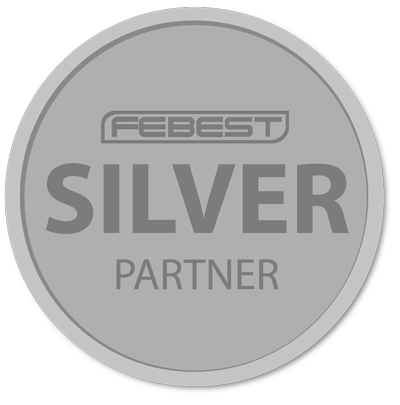 To automatically acquire Silver level partner should place at least 600 euros order. The minimum volume of purchases for the quarter is 1,000 euros. Failure to comply with this volume for the last quarter a notification will be sent. After receiving notification partner has 2 weeks to raise orders volume to the appropriate level. If this condition is not complete, then level will be decreased to Starter. In this group, the partner remains until its quarterly orders in total does not exceed the amount of 5,000 euros (actual payments of orders, excluding VAT). After exceeding the limit partner will be promoted to “Gold” level. The minimum volume of purchases for the quarter is 5,000 euros. Failure to comply with this volume for the last quarter a notification will be sent. After receiving notification partner has 2 weeks to raise orders volume to the appropriate level. If this condition is not complete, then level will be decreased to Silver.